6 Apr 2018 Washington, D.C.
Charles and David Koch are two of the Republican Party’s biggest billionaire donors, supporting an agenda of endless multinational free trade agreements and open borders, which keep U.S. wages stagnant. 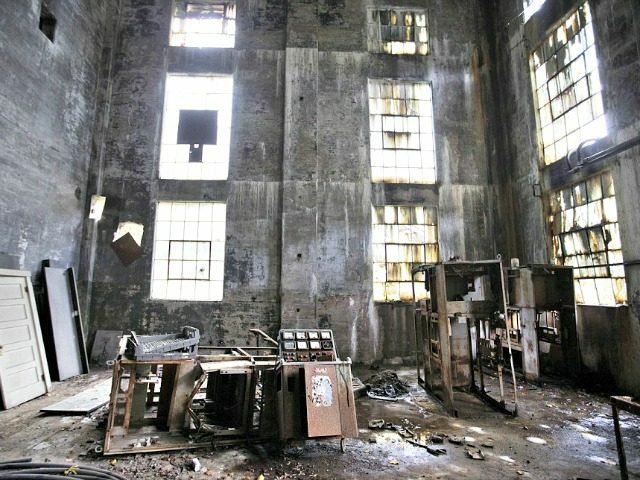 In an interview with the Washington Examiner, Koch hinted that Trump’s 25 percent tariff on imported steel and ten percent tariff on aluminum — both designed to revive the U.S. manufacturing base — would potentially lead to socialism. Koch also denounced Trump’s popular efforts to crack down on cheap, imported products from China. The less trade we have the worse everybody is. I mean, the less exports we have the less imports we have and that makes us worse off. And the more we isolate ourselves, the less we learn of improvements and developments and innovations around the world. We’re working hard against all these other protectionist trade barriers that are just different forms of corporate welfare which, other than a few special interests, will make Americans worse off. In the last year, the Koch brothers have been on a campaign against Trump’s trade and immigration agenda, both designed to increase U.S. manufacturing and increase wages for American workers. Like immigration, though, the Koch brothers remain out of touch with Republican voters and the majority of Americans on the issue of trade. For example, the most recent Morning Consult poll revealed that nearly 60 percent of Americans say tariffs on imported Chinese steel and aluminum were necessary for the U.S.-China economic relationship. Unlike Trump and his base of supporters, the Koch brothers prefer the Washington, DC,-imposed cheap labor, free trade economic model wherein American workers’ wages remain stagnant and foreign products continue to flow into the country. That economic model relies on more than 1.5 million illegal and legal immigrants being admitted to the U.S. every year, driving down Americans’ wages, and corporations moving their manufacturing and production overseas only to export their cheap products back into the country. This week, the Trump administration announced $50 billion worth of tariffs and restrictions it will impose on imported products from China, Breitbart News‘s John Carney reported. Meanwhile, free trade with China has resulted in the elimination of millions of American jobs. 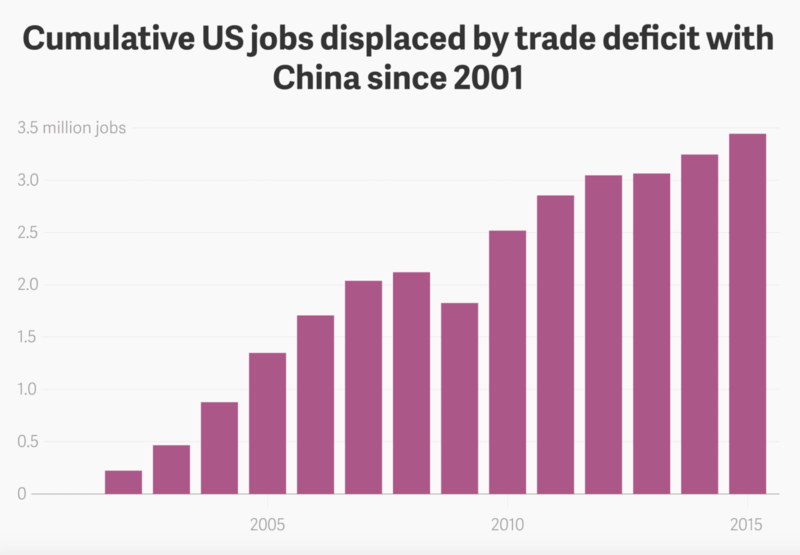 For example, in a report by the Economic Policy Institute, between 2001 and 2015, about 3.4 million U.S. jobs were lost due to the country’s trade deficit with China.